And after months of collecting images and video from the classroom experiences I’ve observed, it was only right that finally I share something. Quickly, I grabbed some of my favorites photos and created a slide show with a piece of their favorite music just to make our year of documentation real. Of course I have much more to work on, to put text and analysis to the work, but the images to speak volumes. When Tuvia watched it he was surprised that so much serious work happens in a 6th grade classroom. 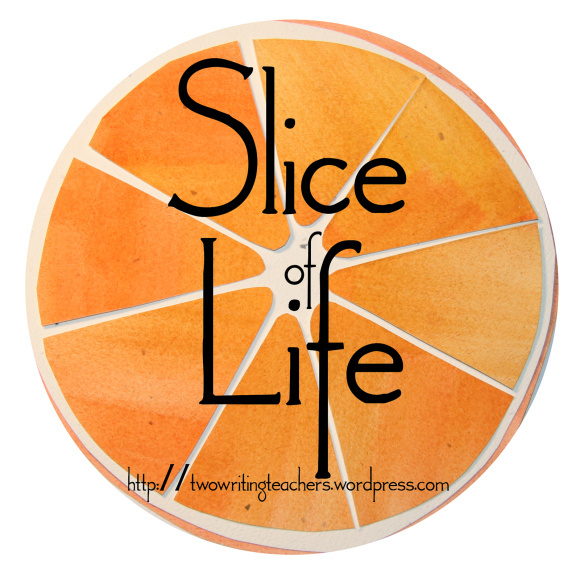 This entry was posted in 6th grade slicers, Slice of Life Tuesdays, Two Writing Teachers and tagged 6th grade Slicers, Slice of Life Tuesdays, Two Writing Teachers. Bookmark the permalink. Hooray for my kids! And hooray for Bonnie, who celebrates their work…and their fun! This is terrific, Bonnie! I love seeing Tara and her students hard at work. Thank you so much for putting this together and sharing it with us. I loved Tara’s words about the ‘picture’ taking, and now I get to see them in action, and in the classroom, too. Loved this, Bonnie. So great you two were able to collaborate in work with the class. They must have loved the doing, too! Thank you! When you and Tara collaborate my heart just sings with all the great things education can be! Thank you so much for capturing and sharing this. Wonderful! It was great to see some of the results of your work together. My daughter would have loved this classroom! I love this. It’s so cool to see the kids making meaning with photogrphy.